May 26, 2015 / Rachel C.
Yeah, not even bothering to make excuses this time. I’m tired and just plain haven’t wanted to do my nails. I was really excited for this month’s CYNA theme too (Space! 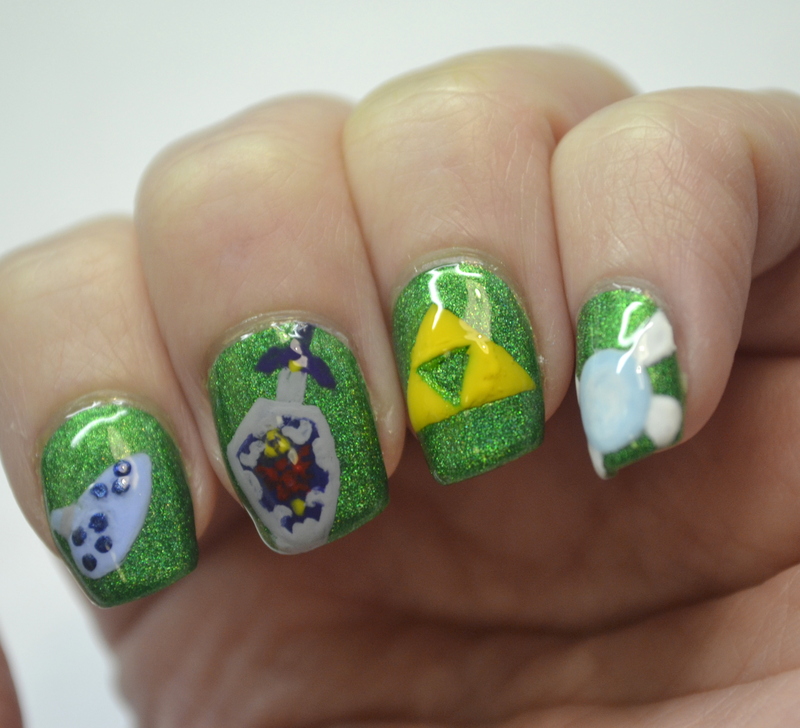 ), but when it came time to sit down and do the nail art…I just didn’t feel like it. 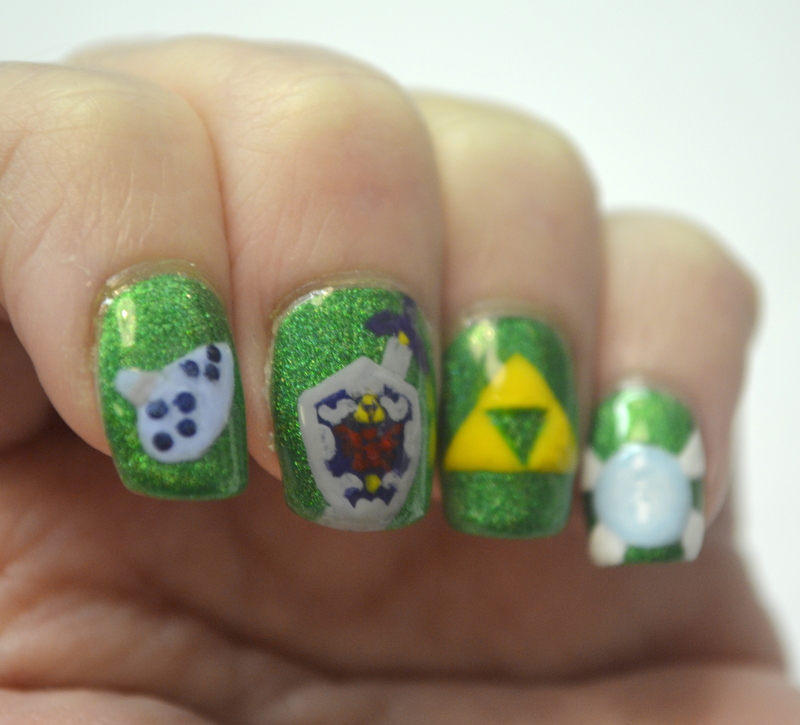 So I skipped this month’s challenge, and made myself feel better about it by doing Legend of Zelda nails instead. These were a complete fluke, by the way. I had finally broken down and worn my new Colors by Llarowe Gemini Rising–which I got in a recent order from Rainbow Connection–and was perfectly content to wear it on its own. But as I was admiring my left hand, my eyes strayed from the perfect Kokiri tunic green down to the triforce tattoo on my wrist. I kid you not, I heard Navi yell ‘Hey!’ in my head. I don’t know if that was inspiration knocking, or just insanity. So, I broke out a whole bunch of polishes and got to work. 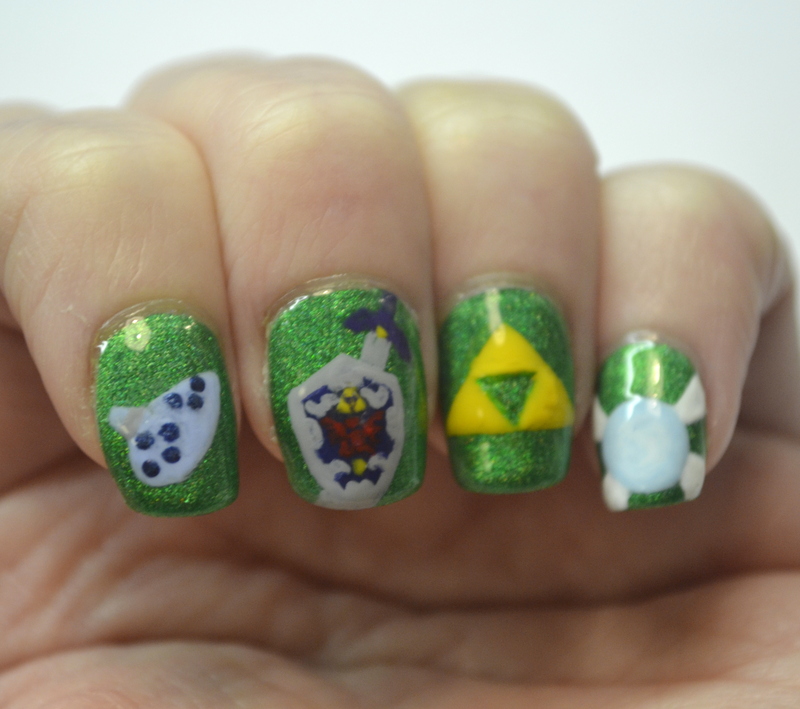 I used Essie Bikini So Teeny, SquareHue Wilshire Boulevard, and Zoya Carey to make the Ocarina of Time. 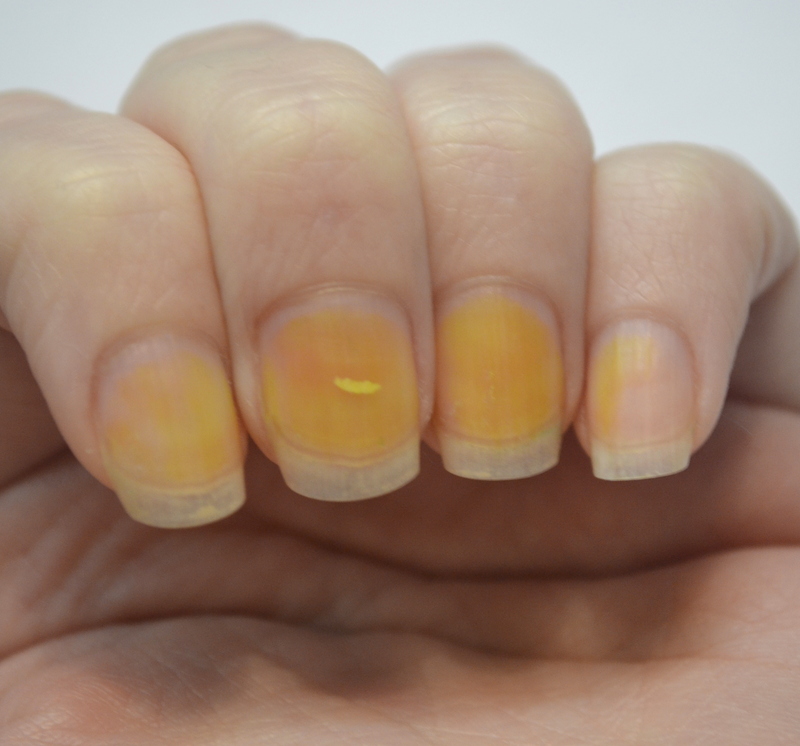 Carey, OPI OPI…Eurso Euro, Kleancolor Red, Maybelline Color Show Electric Yellow, and OPI Do You Have This Color in Stock-holm? for the Hylian Shield and Master Sword, and Electric Yellow again for the triforce. Navi was made with Kleancolor Pastel Blue and Essie Blanc. 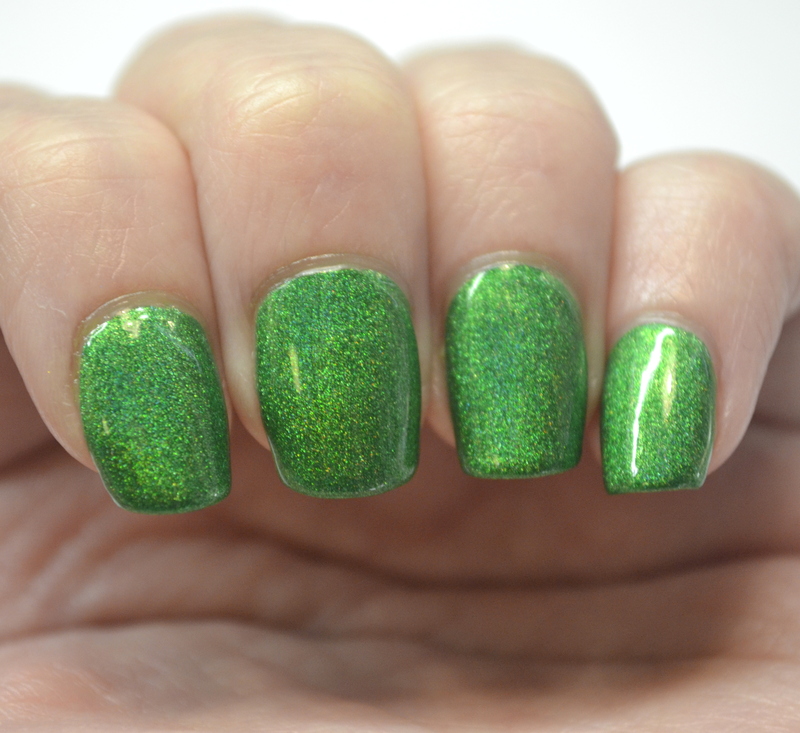 This is a magnificent linear holo that for me falls somewhere between emerald and kelly green. The green is so vivid, I was mesmerized. It went on in 2 coats too, which is always nice. But major downside, Gemini Rising is a horrific stainer. 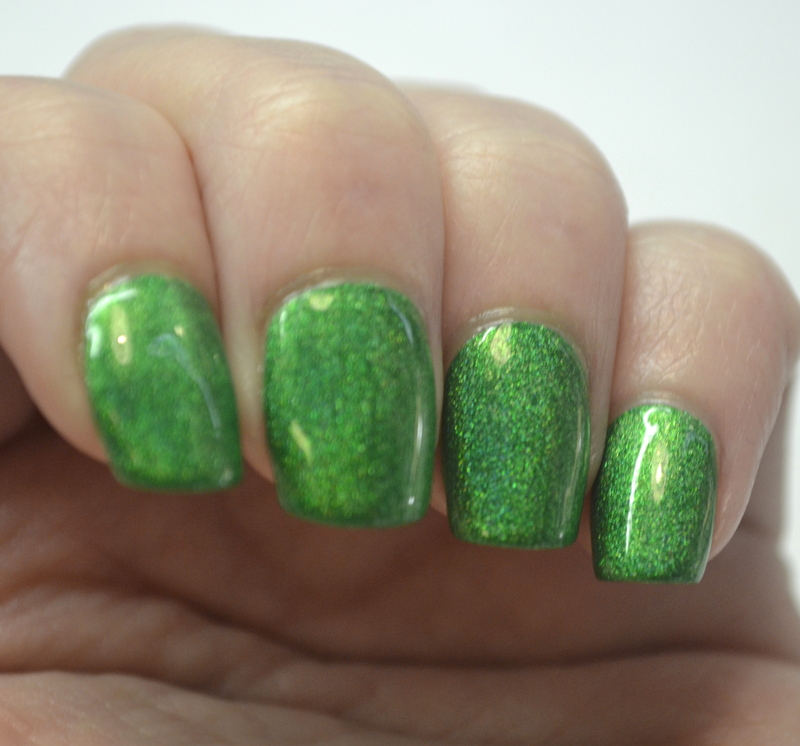 Greens scare me because they have stained my nails in the past, so I made sure to put on two coats of my base coat. Uh, yeah, didn’t work, obviously. That’s gonna take some time to get rid of. 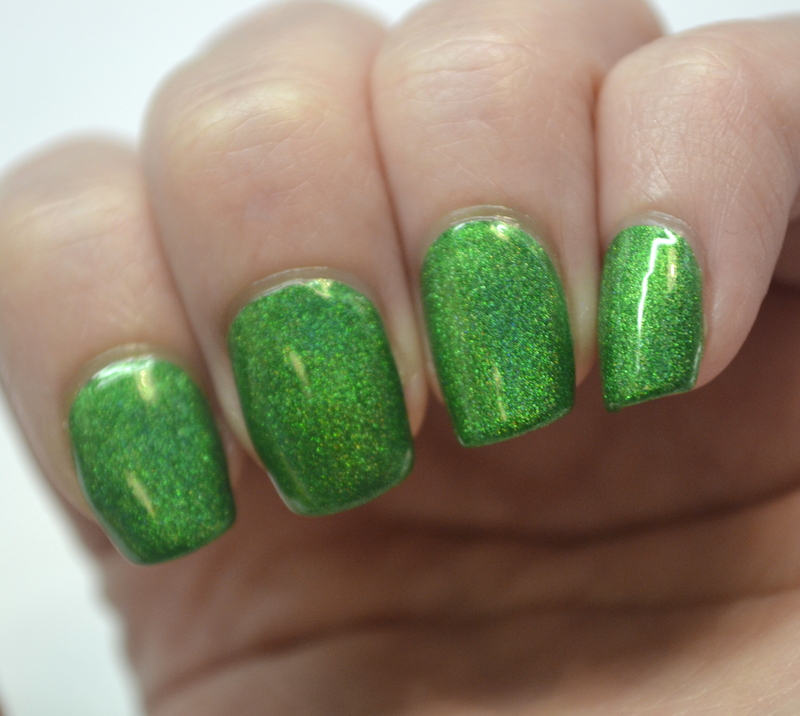 Will that stop me from wearing this polish again? Well, I really don’t think I need to answer that question. So cute, sorry it stained though.